Recent news that a lawyer at US firm Withers has been fired for moonlighting raises two important questions. 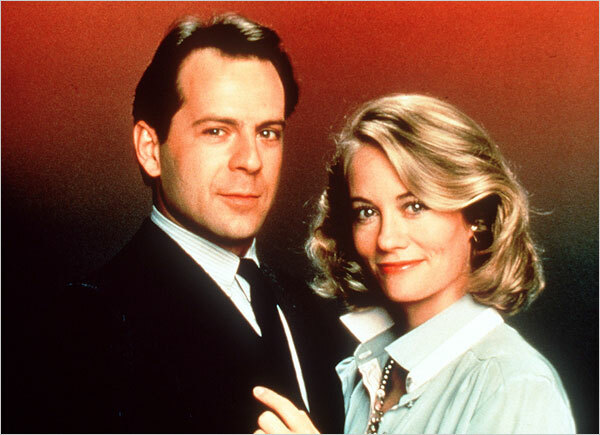 Firstly, have two characters on telly ever smouldered at each other quite as effectively as Bruce Willis and Cybil Shepherd off of cult telly series Moonlighting; and secondly, if a lawyer really must take up a second job, what ought they to choose? The recently-fired lawyer at Withers had spent a good deal of time in Russia, and apparently become a little influenced by what one imagines is a very slightly more laissez-faire approach to practice ethics. It turned out he’d been working on the side for a Russian client he had previously introduced to the firm, and billed him directly – thus raking in the roubles. Not a very imaginative side-line, as moonlighting goes. So for those who have pondered what to do with the occasional spare half-hour in their calendar, here’s our pick of the best moonlighting jobs for the lawyer looking to diversify their skills portfolio. Obviously horse whispering is definitely a thing. It must be, because would Robert Redford lie to you? Look at him! Look at his hat! The ability to gently and confidently diffuse a situation is one that no lawyer can really do without. Sure, you’re not likely to be asked to prevent a frightened stallion from bolting across the courtroom (though in some jurisdictions this may not be entirely out of the question), but most solicitors can think of occasions when tempers have frayed frighteningly fast. And it’s not just clients that could do with soothing now and then. Witness Dentons, which takes great pleasure in a vicious annual spat with American Lawyer Magazine. When the mag accused the firm of suppressing its global profits because the figures were (to quote Roll on Friday) ‘pisspoor’, Dentons threw all their toys out of their pram. All of them. And then popped down Hamleys for a new set of toys, in order to have more to chuck. There ensued a series of open letters, infuriated public statements, accusations of innumeracy and downright falsehood, and demands for corrections. Just imagine if one of the Dentons lawyers had quietly put on his white Stetson and sidled up to the fuming partners whispering ‘Whoa boy. Whoa now’, and chucking another handful of oats in the nosebag. Speaking of throwing toys out of the pram, one ex-lawyer is laughing all the way to the bank on account of having developed a most unusual sideline job in the toy industry. Evidently unfulfilled by his job at US firm Winston & Strawn, lifelong Lego enthusiast (or ‘Legos’, as they say in the States, a crime for which this writer at least would willingly see the death penalty introduced), a certain Nathan Sawaya traded in his role as an attorney and hopped it to California to train as (bear with me) a master builder at Legoland. Eventually he took off on his own as a Lego artist, and his worldwide tour recently reached our very own shores and a gallery in Spitalfields (where else, amirite?). 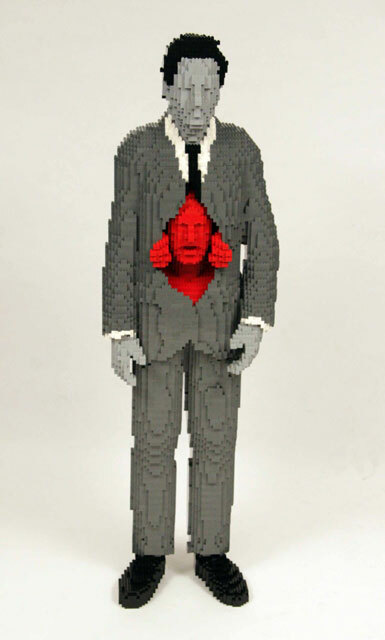 Lawyers at nearby Allen & Overy might want to pop along and look at Sawaya’s visceral depiction of a man’s soul escaping the confines of a decidedly lawyerly-looking grey suit. It does in fact look like some sort of intestinal prolapse badly in need of a surgical truss, but the sentiment is a challenging one. As any schoolchild can tell you *cough*, a quantum version of time travel would entail physicists coming up with equations for states of density in closed timelike curves. 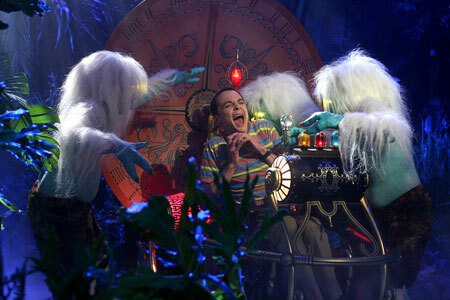 You may wonder why a busy lawyer would devote their spare free time to emulating Sheldon Cooper (though, in fairness, there are worse people to emulate), but as Lawyers Without Borders has recently discovered, a time machine would be a handy tool for any solicitor. Volunteer solicitors have been working in Liberia to summarise thousands of cases from 1861 to the present, in order to create a list of precedents. This is all to help bolster the justice system of a country still reeling from the effects of the dictator and war criminal Charles Taylor. Due to Liberia’s difficulties with power cuts, everything has to be catalogued and kept in paper copy – a task which has taken five years to date. If quantum physicists could just crack on with things a bit faster, those devoted Lawyers Without Borders volunteers could just swing by the nineteenth century courtroom with a Dictaphone and avoid five years of paperwork. That being said, time travel must only be undertaken with the utmost caution. No use denying it: we all secretly dream of being given a voucher to be a zookeeper for a day at Colchester Zoo and getting to wash the elephants with a broom and a bucket (Possibly just you – Ed.). But the fact is that a certain facility with the animal kingdom would stand many a lawyer in good stead – and not just because dealing with the more alarming senior partner can leave a junior feeling a little like a lion-tamer. But there’s been some high-profile cases recently in which a certain empathy with our simian cousins would have benefited the lawyers in question. First we had the famous ‘monkey selfie’ case, in which it was debated whether the photographer owned copyright, or whether it more properly belonged to the monkey (it didn’t). In a rather more sober case, history has been made in the US where two chimpanzees have been granted a petition to defend their right not to be unlawfully imprisoned. There is to be a hearing on the status of ‘legal persons’, and whether the chimpanzees can be accorded that status. Hercules and Leo, the chimps in question, are being held at Stony Brook University on Long Island for the purposes of medical experimentation. In an unprecedented move, Hercules and Leo – who have their own attorneys – were granted a writ of habeas corpus. The following day the order was amended, removing the words ‘writ of habeas corpus’, after it was argued that the court had implicitly awarded the chimpanzees status as ‘persons’.